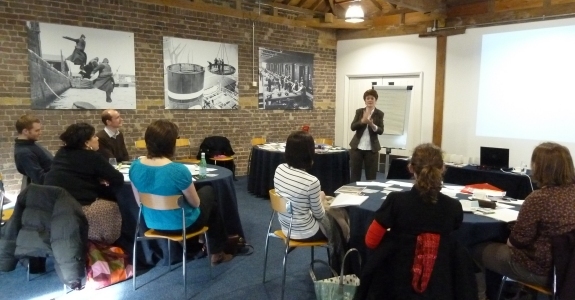 Yesterday we had a great time at the Museum of London Docklands, running a TextWorkshop in their fabulous conference room overlooking the Thames. Sue Neaves, Learning Programme Manager at the museum, gave us an eye-opening tour of the galleries, including the London, Sugar and Slavery gallery which takes an uncompromising look at the human cost of the British empire’s expansion. Our next course is on Writing text for trails, on 6th April at the Herbert Art Gallery and Museum in Coventry. Before that we’re working in-house with the Science Museum and the Wildfowl and Wetlands Trust.